As part of its expansion and acquisition strategy, Chigwell Construction recently bought Brentwood Windows and Doors Ltd. The acquisition was complete on 1st April 2014 and the company has been re-branded by our Design Consultants Brand-ing Communications Limited and now trade under the company name of Chigwell Bifold Doors and Windows Ltd.
Chigwell Bifold Doors and Windows Ltd have tapped into Brentwood Window Centre’s (BWC) wealth of experience in the Upvc and aluminium double glazed windows and composite doors market. Brentwood Windows Serviced the London, Essex and surrounding areas for more than 15 years, providing a high quality product and service to residential and commercial clients. Chigwell Bifold Doors will be building on that experience and further investing in the increased production and installation output’s, including the provision of further quality and assurances to clients such as the Secure by Design accreditation. The service will also be provided in additional areas to include Bedfordshire and Hertfordshire. The newly refurbished and established Head Office and sales room facility was completed on 1st May 2014 and provides numerous examples of the quality product the company provide, together with expert advice from Surveyors and sales team. The opening hours are Monday – Friday 8am – 6pm, Saturdays between 9am – 2pm and other times by appointment. Products include Composite Doors, Bi folding Doors, uPVC Doors, Stable Doors, French Doors Single Doors, as well as manufacturing a full range of windows, with a vast selection of designs including integral blinds and powder coated, colour finishes. UPVC Windows and Doors are manufactured to Swish profiles and Aluminium windows and doors are manufactured to the Smart system. The Secure by Design accreditation provides our clients with the assurance of knowing their homes are fitted with the most secure product on the market – tested and approved to British Standards. Accreditations including FENSA, Staycool Glass, ISO 9001:2008, CHAS, Constructionline and EXOR demonstrate the independently verified quality and safety systems operated by the company. 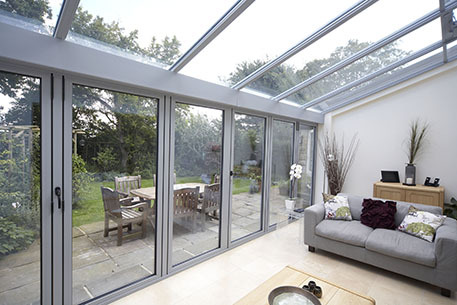 10 year warranties are provided as standard with all products we supply and fit. These warranties are insurance backed and a full after-sales service is provided. 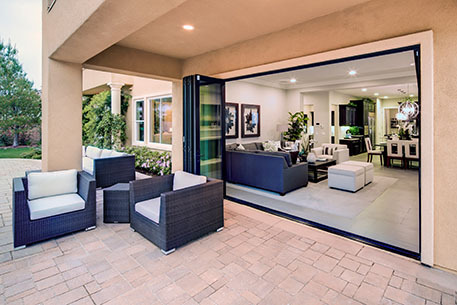 “Brentwood Windows and Doors were an established member of our supply chain for many years. They provided an excellent service manufacturing and installing Upvc and aluminium doors and windows on behalf of our clients. Their manufacturing unit is based on the same Business Park as Chigwell Construction. The acquisition and re-branding therefore made sense. We can now offer our clients in the commercial and residential sectors a quality product in the shortest turn-around time any contractor can offer.